HydroAir V-jet bodies are for threaded wall fittings and use 3/4" smooth barb water connections & a 3/8" barb for the air connection. For Slimline Builder and Trimline wall fittings. 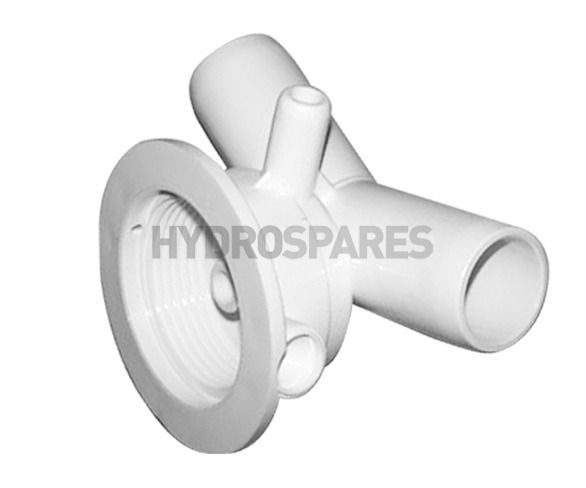 V adaptors are avaliable seperatly for multiple air pipe connections.